Whether it’s more functionality or a bigger thumbnail size, WordPress has you covered. It’s such a flexible CMS where the limits feel almost endless. I’ve searched through a large handful of past projects, as well as looking through sites like Stack Overflow to find some of the handiest WordPress snippets. Sometimes small bits of code aren’t enough. In some cases I advise looking at some plugins as they tend to be more thoroughly tested. 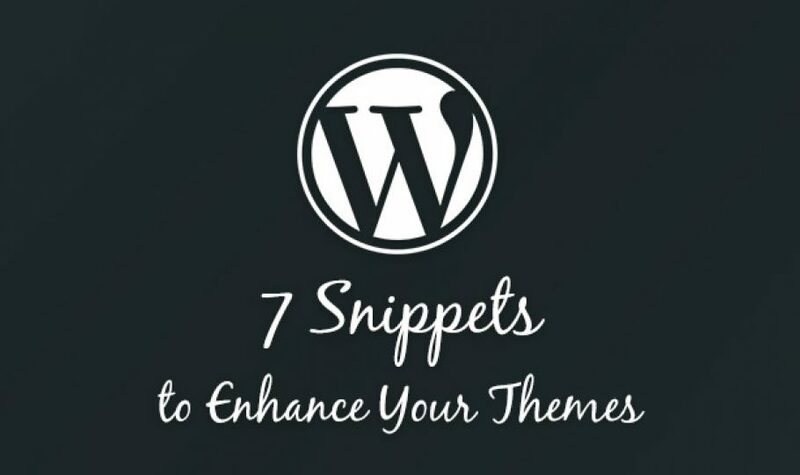 To use the following WordPress snippets, just copy and paste them into your theme’s functions.php file. What handy WordPress snippets are you using? Let me know in the comments. You might also like: WordPress Custom Post Types and Taxonomies for Beginners. In the WordPress profile editor, you have options for email and URL, but what if you want links to your other social accounts? With this WordPress snippet you can add as many as you want, as a result pushing more people to your social profiles. When you create a custom post type it doesn’t show up in the main WordPress loop by default. By using this WordPress snippet you can it show in the main loop, therefore exposing it to more people on your site. Each and every code need to add into theme’s functions.php file?